LACIE'S/ELLIE'S PUPPIES WERE BORN 3/27/19 AND WE'RE EXPECTING IN LATE MAY!!! Selecting a good breeder can be a challenge. A few things to look for: can you meet the dames or sires? Can you visit the puppies before they're sent to their adoption homes? Are the puppies being raised in close proximity to people? Is there purposeful interaction with the puppies? Purposeful stimulation of trigger spots so your new puppy is used to and wants to be touched? Are new objects regularly introduced for play? Are the puppies acclimated to normal household noises? Are the breeders caring people? A great puppy isn't just born that way. Genetics plays a big part of your puppy - that's obvious, but the breeder you choose is just as important as the parents. We take great care at My Best Doodle to do all of the things we know will help lead to a great family dog.. it really makes a big difference. The Australian Labradoodle breed was originated in the 1980s by Wally Conran. Mr Conran set out to create a breed that was both allergy and asthma benign while incorporating the well known attributes of Labradors for use as guide dogs. A successful result has led to today's Australian Labradoodle breed. All of our breeding dogs, both boys and girls live full time as family pets. Litters are born and raised in our home and all of these precious babies are given the best of treatment. 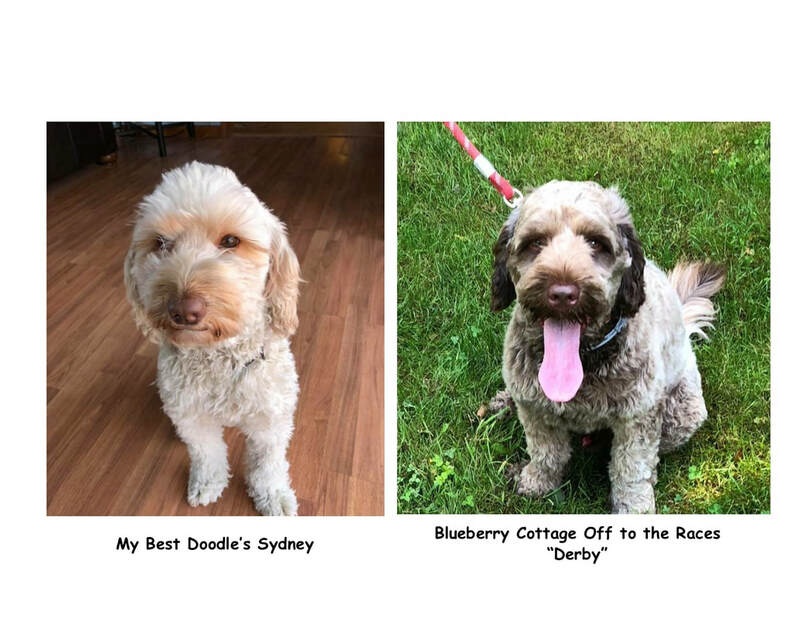 We honestly love every doodle that we raise and we take pride in delivering a well rounded, well socialized family treasure. We like to feed our dogs premium, simple ingredient foods. Research and experience have taught us the value in spending a little more for real quality. You get healthier dogs for it and less 'yard bomb' volume. And so for years we've been buying premium food and felt we were doing right by our dogs. This past summer one of our friends had us try a new dog food for our three Doodles. Our three girls all get along great and we've never had any issue with feeding the three of them together until we introduced this new premium food. Suddenly we had dogs snapping, growling and threatening each other. All over Life's Abundance dog food. Even the container we store the food in became a problem; we had to move the container into a closed room because all three we're trying to claim it for their own. The good news is we were able to restore order to the pack even though we changed to this new food that our dogs clearly preferred over any other. The only thing they seem to like better is brick oven pizza. More good news: you can have this high quality, great tasting pet food delivered right to your door too for no more than you pay for premium pet food at the store. Click here to see the full product line of pet food, supplements and a few other things. If we didn't use their products ourselves you wouldn't be reading about it here.